We run a totally unique 'stock-on-the-road' system, which allows us to take our customers choice of vehicle off the Maritime fleet to prepare and sell to their exact requirements without a lengthy lead time. 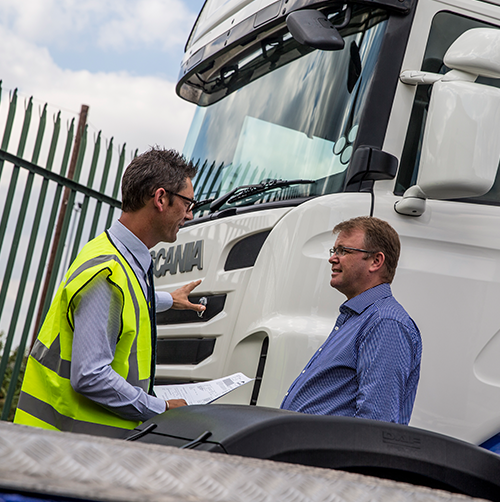 Being part of a large transport company also means we know everything there is to know about every marque and model in our range, so we can offer you our impartial advice on which truck is best suited to your business. High quality trucks and exceptional service are what our customers look for when it comes to buying the right used truck. In fact, our customers tell us their new trucks arrive 'like-new', the only difference being the price tag. Take a look at our testimonials and see what our customers say about our exceptional trucks and service.